A little while ago, I introduced the history of the Oakwood Club, a country club on Warrensville Center Road in Cleveland Heights and South Euclid. Here's the second part of the story - a look at the interior of the club, with photographs provided courtesy of Terry Coyne. 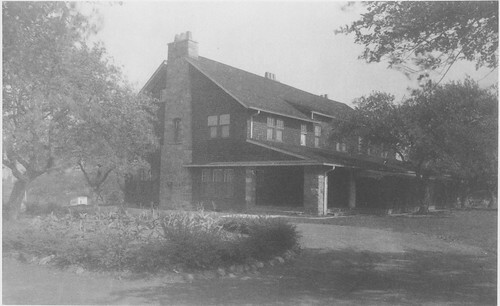 The Excelsior Club merged with Oakwood in 1930. The increase membership necessitated building a new clubhouse. The building, completed in 1931, was designed by George B. Mayer of Charles R. Greco & Associates. The firm was also responsible for the design of the Temple at University Circle (Temple Tifereth-Israel) and the Temple on the Heights, on Mayfield Road at Lee, in Cleveland Heights. Louis Rorimer, of Rorimer-Brooks Studios, was responsible for the interior decoration. 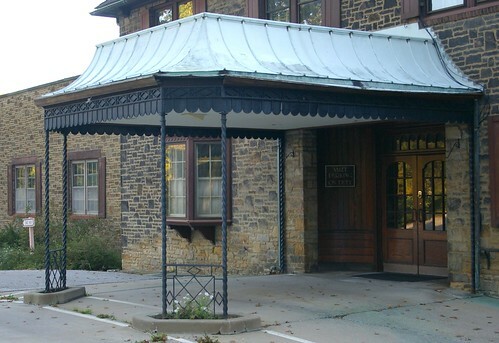 Contract for construction of additions and improvements to the Oakwood Club has been awarded to the Sam W. Emerson Co., the club's president, J.M. Berne, announced last night. Work is to go forward immediately and will mean an expenditure in excess of $100,000. 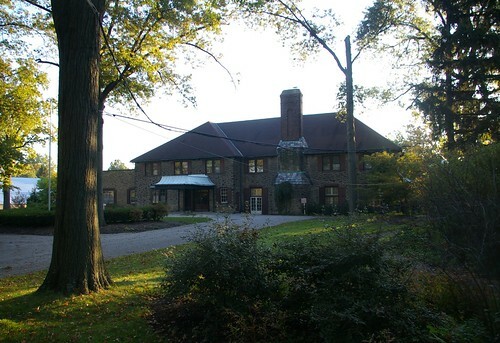 Enlargement of the clubhouse is in connection with the plan to consolidate it with the Excelsior Club which recently sold its club property at 11111 Euclid Avenue to Western Reserve University, which will take possession as soon as Oakwood enlargements are completed. Arthur J. Halle is president of Excelsior. Plans call for addition of two wings and remodelling of the present building. One of the new wings will contain a lockre room 60 x 120 feet with an outdoor dancing pavillion on the roof. The other wing will contain a large lounge, handball courts, bowling alleys, private rooms and other facilities. If weather permits it is expected to have a new locker room reading for use in early spring and the entire construction job finished early in June. Plans are by the Charles R. Greco organization, Edward G. Reed associated. The building committee is S.M. Gross, chairman; Alex Printz and Gamuel Regar. The new club, which in reality is the enlarged club on the former site near Warrensville Center and Mayfield Roads, is a beautiful structure with interiors in the French provincial style. 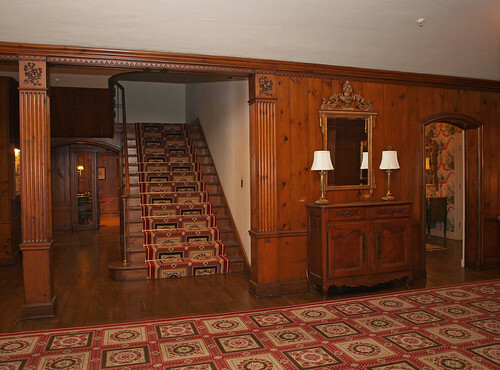 The main lounge is several steps below the entrance hallway. Back of it is a tea room which will open onto a terrace. The large dining room occupies the space of the original Oakwood club dining room. There are seveal private rooms which may be opened into the main room for large gatherings. From the dining room to the roof garden is a "peacock alley." The roof garen is atop the section which houses the men's locker room. The women's lockers and dressing room are on the second floor. One of the most interesting will be the dinner dance which formally opens the new and enlarged Oakwood Country Club at Mayfield and S.O.M. Center Roads. Not only will the dinner dance which is planned for the evening be the first social event to be held here, but it will mark the 25th anniversary of the original Oakwood club's founding. 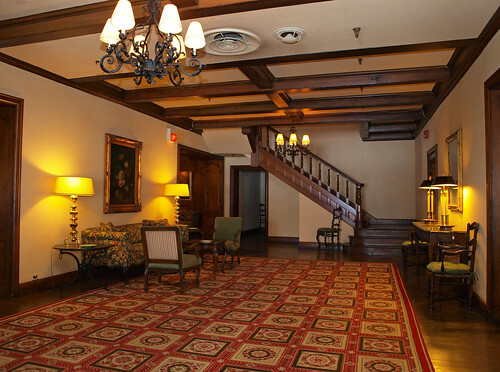 The interior of the beautiful club is furnished in French provincial style. The "peacock alley" which leads from the main dining-room to the roof-garden, has been decorated with silver leaves and other silver novelties to mark the silver anniversary. The roof garden which tops the men's locker quarters is covered with a gay awning and is the only roof of its kinds among country clubs of this community. A trio of photographs published in the Plain Dealer a couple weeks after the opening (July 19, 1931, page 6) might have illustrated the interior well, prior to being microfilmed. The same article notes that the total cost of the project, with furnishings, was $250,000. On arriving by automobile at the main entrance to the clubhouse, a valet would likely park your vehicle. Photograph used courtesy of Terry Coyne. You'd be greeted by this entrance foyer, trimmed with dark wood, probably walnut. The furntiture present here could well have been part of the items selected and installed by Rorimer - I'd have to see it in person to make that determination. On the other hand, in settings outside private residences, furniture tends to have a shorter lifespan. To your left, there's a staircase leading up to the second floor. Note the detail of the carving in the trim - something Rorimer-Brooks was known for. To your right, from the entrance hall, is the living room, a large space that stretches all the way to the south wall of the structure. The listing photographs include another view, but this doesn't provide much illumination into the architecture of the structure. The "fireside alley" is connected to the living room - through the arch on the far left, we can see a little bit of the red of the walls in that room. Massive timbers appear to support the ceiling, providing a visual separation between lounge areas closer to the fireplaces and those that, as built, would have been near the outside wall. Another view, just to the right of the one above, provides a second look at the "fireside alley". 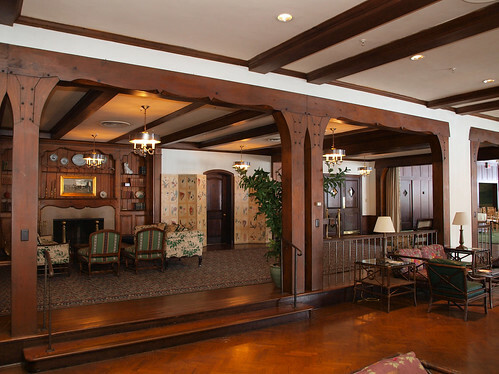 On the far right, the wood paneling on the walls of the dining room is visible. The listing photographs also provide views of some areas that were added later, and are of perhaps less architectural interest, but are still worth mentioning as part of a historical record. These include the bar, kitchen, blue room, private dining room, and ladies dressing room. From Art work of Cleveland - 1911. Image used courtesy of Cleveland Public Library. 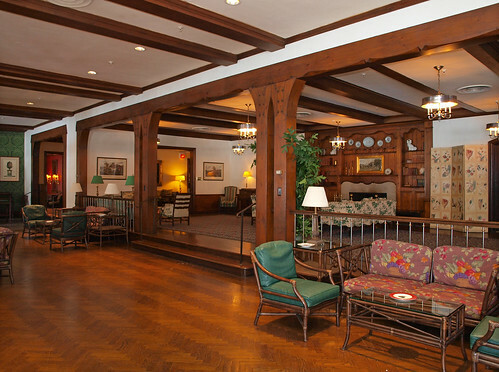 How much of the original clubhouse remained after the 1930/1931 renovations? Very little, outside the basic shell. Part of the roofline, and a couple chimneys are about it. 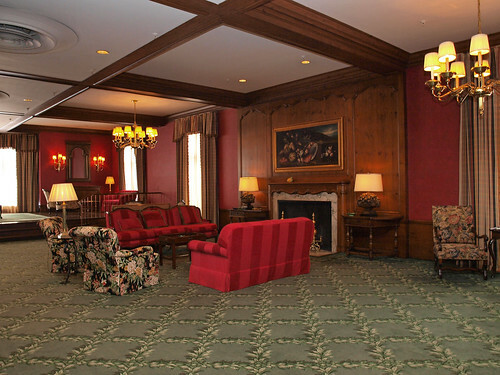 The main part of the Oakwood clubhouse provides an interesting look at a Cleveland country club, circa 1930. It'd be worth investigating whether the furntiure is original. If it is, it represents a rare collection, worth documenting as part of the whole. Has anything been said about what will happen to this building if issue 96 passes? Issue 96 is in South Euclid. The Clubhouse is in the Cleveland Heights end of the property. The developer hasn't revealed his plans for the CH portion yet. Based on his statements, however, a rezoning proposal would be in the mix. It's currently, like the South Euclid portion, zoned A-2 large lot residential development. A great glimpse back in time, when the Country Club life was the new ideal--they seemed as interested in building nice clubs then as they are in tearing them down now. I was there quite often in my prior life and it is so pretty and peaceful there. I do hope it doesn't get removed. I'd like to find out more about the Club. How long ago did you go there?